London’s skyline is all about shock and awe. Blots on the landscape are conspicuous by their absence. 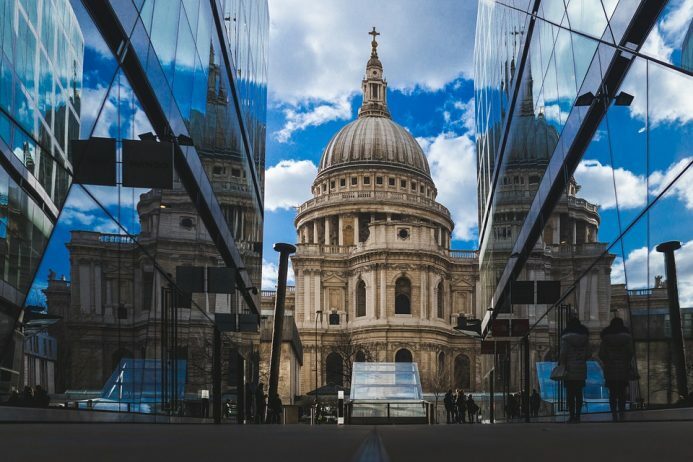 Meaning that buildings stand out for all the right reasons, and none more so than St. Paul’s Cathedral in the heart of the city. There’s severely restricted street parking near central London’s St.Paul’s Cathedral, making public transport a more appealing arrival route. St.Paul’s Underground station is a two-minutes walk away whilst you can reach this tourist attraction from both Blackfriars and Mansion House tube stations in five. The closest train station is City Thameslink, a mere three minutes on foot. St. Paul’s Cathedral opens for sightseeing from Monday to Saturday, with Sunday reserved for worshippers. The doors open at 8:30am and close at 4:30pm. Last entry is at 4:00pm. Most visitors tend to spend between an hour and a half and two hours exploring the St. Paul’s Cathedral. You’re not allowed to film/photograph inside the cathedral. However, you can photo/video the external galleries. Start by walking the cathedral floor. You’ll see the high altar built in 1958 which replaced the Victorian one wiped out by a bomb strike in World War Two. Make your way into the dome, to visit the Whispering, Stone, and Golden galleries. Construction started on St. Paul’s Cathedral in 1675, although it wasn’t completed until 1708. The architect was Sir Christopher Wren and you’ll find his tomb in the crypt. Along with those of naval and land warfare heroes, Nelson and Wellington. Adult tickets begin at £18.00 if paying at the gate, but by booking online you can reduce the cost by £2.00. A child ticket (6-17) is priced at £8.00 (£7.00 online) and there are family packages at £44.00 (£39.00 online) available too. Prices are correct at the time of going to press.